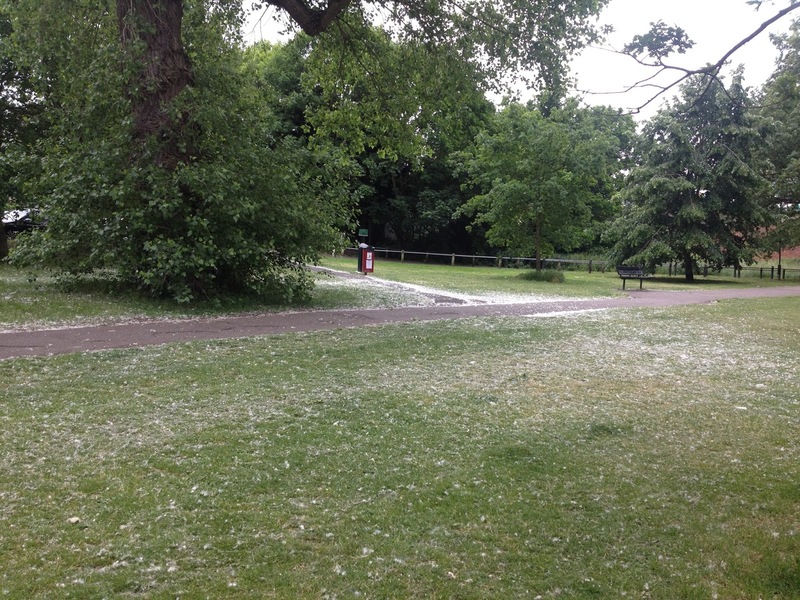 It is the brief time of year when Streatham shares something with Moscow: the female poplar trees are shedding skeins of white fluff, or pukh, which drifts around and coats the ground in wool. The Russian city apparently has so many of these trees that the pukh fills the air, and great efforts are made to manage it; there are only four shedding trees that I know of in my local area, so the effects aren't that marked. For a fortnight or so each spring the ground around each tree takes on a slightly unearthly feel; some years – perhaps dependent on the weather – the shrubs and smaller vegetation can be covered by the cottony fibres that house the poplar's tiny seeds. And then it disappears. Yet search online and you'll find such consternation about this harmless yearly phenomenon. 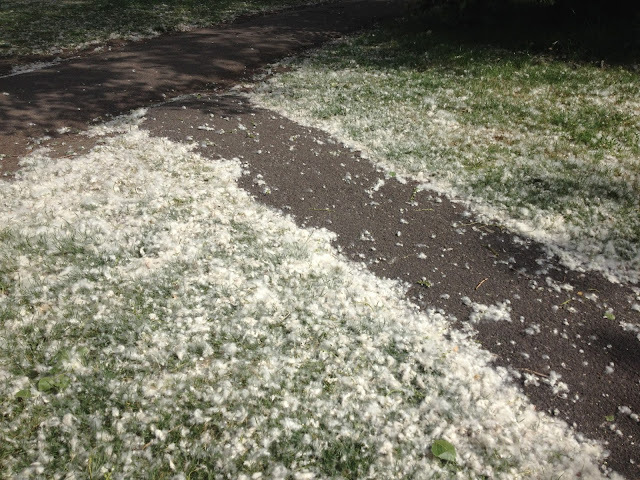 The pukh is accused (wrongly) of being everything from an allergen to a skin irritant; concerned residents report it to their local councils, believing it to be asbestos; homeowners demand their neighbours cut down mature poplar trees. Why? In his brilliant book Field Notes from the Edge, Dr Paul Evans discusses 'ecophobia': the fear of nature, the belief that it will harm and not help us. It so often seems to me that we start, these days, from a defensive position, one that believes in nature's otherness, it's uncontrollability, and insists on our right to strike first. Yet the narrative of conflict comes too readily to hand, for while we are right to respect the natural world and its processes, we can neither control it, or live without it. Addendum: immediately after publishing this piece I received a tweet from a local resident describing poplar trees as 'monstrosities'. A case in point.